Kentucky Derby week 2018 kicks on April 28 with an exciting week of races that include the Kentucky Oaks for fillies and mares, numerous stakes races, and the running of the 144th Kentucky Derby. The Greatest Two Minutes in Sports attracts celebrities from all over the world as well as racing fans from many countries. EZ Horse Betting has your complete guide to the festivities that accompany the race, the top contenders to watch, and even track information for those who wish to attend the race in person. The Run for the Roses will be held on May 5, 2018 at the legendary Churchill Downs in Louisville, Kentucky. Those who want to attend the Kentucky Derby in person are encouraged to purchase their tickets early as the event always sells out. 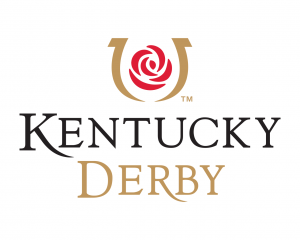 Ticket packages for the Kentucky Derby include a variety of options which include two-day passes to the Churchill Downs infield and grandstand, luxury suites, and even week-long ticket deals. Among the most popular choices for tickets is an all-inclusive two-day package which includes tickets to the Kentucky Oaks and Kentucky Derby, alcohol, and food. These packages cost $916 and are available at the official Kentucky Derby website or through Ticketmaster. The most affordable ticket options for the day include grandstand and infield seating. General admission tickets may be bought by April 28th for $70. Buying a ticket on Derby day increases to $80. The price for general admission to the Kentucky Oaks on Friday, May 4th, can range from $45-60. Individuals should be aware than general admission seating is typically cramped due to the overwhelming crowd. Individuals may not be able to secure an actual seat with this ticket and will be forced to watch the race while standing up on the racing apron. The Kentucky Derby is a time to dress up and enjoy the spectacle of the event. Each year, the ladies try to outdo each other with hats and dresses. Those who purchase seats in the Churchill Downs clubhouse or special areas will be expected to conform to a certain dress code for the event. Men are expected to wear a suit or trousers and a sport coat with a tie. It is traditional for many men to don bow ties for the event. Women are expected to wear a dress and one of the popular hats. Many women will visit one of the hat shops in Louisville to have their hats custom made at a considerable cost. One should not expect to show up on Derby Day and wear jeans, especially in high-priced seating areas. This will likely result in the individual being turned away. Dress regulations are more relaxed in the infield and grandstand. Even there, however, classy clothing choices are preferred. It is not generally acceptable to wear t-shirts or informal attire. If you are planning on making the trip, treat yourself nice and dress up a little. The experience is one that you won’t soon forget. Of course, the official drink of the Kentucky Derby is the Mint Julep. This alcohol concoction is made from Kentucky bourbon and has a pleasant sweet taste. Individuals will find mint juleps for sale in multiple locations at the Derby, and they are always pricey. Many of the drinks include a collectible glass exclusive to that year’s running of the event that can be taken home. For the wealthy, there has been in recent years a special mint julep that is priced at $10,000 or more. It includes a very special glass and the money from this drink usually goes to some type of charity. You might not think that many of these expensive drinks are sold, but you would be incorrect. Celebrities purchase them, of course, and so do other wealthy people that attend the event. When it comes to food, there is no shortage of fantastic dishes at the Derby. Celebrity chefs like Bobby Flay have provided exclusive menus in the past. The dishes can include seafood, barbecue, and traditional southern comfort dishes. The food in the clubhouse area tends to be on the exclusive side, while dishes served on the apron are more common. In the infield it is possible to find hotdogs and hamburgers. You can expect to pay upwards of $12 for either one. But who wants to have a hamburger when there is so much other great food to be had at the Derby? The Kentucky Derby is more than just a horse racing event. It is a event like the Oscars or SuperBowl. There is a red carpet entrance for celebrities, and certain things happen each year at a certain time. Here are just a few things you can be on the lookout for when you make your trip and the times at which they occur. 9:45 A.M.–The official Garland of Roses arrives at Gate 18. It is delivered by Kroger. The Garland of Roses is what will be draped over the winner of the race at the race’s end. 12:30 P.M.-2:30 P.M.–Celebrities walk the Red Carpet at Gate 10. You can attend the walk and take pictures. Celebrities in the past have included Britney Spears, Joey Fatone, Jeff Bridges, and many more. Even Queen Elizabeth has attended the Derby. Each year, a celebrity is also chosen to give the call of “Riders Up!” before the race begins. 1:00 P.M.–Artist Jim Cantrell will be in the plaza signing the official artwork for the Kentucky Derby and Kentucky Oaks. You can purchase artwork at the event. There are many more sights and sounds to experience on Derby Day. There are concerts in the infield which feature popular musical acts. Train is one of the acts that has performed at the Derby in the past. In the week leading up to the Kentucky Derby there are also numerous parties to attend. Did you know that is possible to watch and wager on the Kentucky Derby from the comfort of your own home when you create an account with one of our recommended online racebooks? Signing up takes just a few minutes and you can make bets right from your computer, phone, or tablet. Many great horses turn three years of age in 2018, but only a very special group of them will be able to compete in the Kentucky Derby. On May 5th, just 20 horses will be qualified to enter the starting gate at Churchill Downs and participate in the Run for the Roses. Here are some horse that have already distinguished themselves as legitimate contenders. Hall of Fame trainer D. Wayne Lukas is looking for a return to the Winner’s Circle at Churchill Downs with Bravazo. The horse amassed a large number of qualifying points with major performances in races like the Breeders’ Futurity. He is lightly raced thus far, with his biggest win coming in the Risen Star at Fair Grounds in New Orleans. Bravazo also has the advantage of being a January foal, making him a true three-year old. Promises Fulfilled come live up to his name for trainer Dale Romans. Romans is a frequent trainer in the Kentucky Derby but has yet to win the big race in the state he calls home. He is a son of Shackleford, a horse that gave Romans his first Triple Crown series win. The horse is no stranger to the track at Churchill Downs, having won his debut there. Some have question whether or not the horse can get the distance of 1 ¼ miles in the Derby. Good Magic was sire by Curlin and is trained by Chad Brown for Stonestreet Stables. This horse definitely has the pedigree to win the Kentucky Derby and bring some good magic to the Brown stable. Unlike his sire, Good Magic began his racing career at age two with a debut at Saratoga. He then went on to produce a good race and finish second in the Champagne Stakes. The horse cost a whopping $1,000,000 at auction, so expectations for him are very high. Firenze Fire established himself as a serious contender for the Kentucky Derby with a win over Good Magic in the Champagne Stakes. He is trained by Jon Servis who will be looking for his first Kentucky Derby win in May 2018. Firenze Fire just may get him there. He is a homebred colt and his stable is relatively unknown. Such are the foundations of great stories in the Kentucky Derby. Snapper Sinclair is trained by Steve Asmussen who is looking for a return to his status as a top trainer following harsh accusations against his barn in recent years. Asmussen’s assistant was caught on tape abusing horses and this led to Asmussen’s Hall of Fame election being withheld. Like many previous Asmussen horses who have attempted a run at the Kentucky Derby, Snapper Sinclair has made his greatest strides at the Fair Grounds in New Orleans. His biggest performance is a second-place finish in the Risen Star to Bravazo. The trainer of America’s last Triple Crown winner, Bob Baffert, will be looking to start another run at the trophy with McKinzie. The horse was purchased for $170,000 at auction and was foaled in February 2015. This makes him one of the oldest horses who may be in the gates for the Derby. Mike Smith will have the mount on McKinzie on Derby day. One of his biggest victories to date came in the 2018 Sham Stakes. Strike Power made a strong name for himself in the 2018 Fountain of Youth Stakes at Gulfstream Park. He finished second that day but was impressive in defeat. While he is considered an outside contender at best, this horse could be a nice longshot on Derby day. Those who choose to back him at the betting windows could find themselves in for a nice score if he wins. These are just a few of the contenders for the 2018 Kentucky Derby. More are sure to emerge as the race draws closer. It seems as though each year there is a horse who will surge into contention just weeks before the big event. Who will it be this year? There are multiple ways you can bet the Kentucky Derby. You can create an account with one of our recommended racebooks, you can wager at Churchill Downs if you attend the race, or you can bet at your local racetrack. Off all three methods, betting at an online racebook may be your best option. There are numerous advantages to betting the Kentucky Derby online. The first and most important of these is that you don’t have to worry about being shut out at the windows if you try to bet live. The Derby is an important event which attracts a lot of wagering attention. At a live racetrack there is no guarantee you will make it to the betting windows in time, especially if you like to observe horses in the paddock prior to the race. 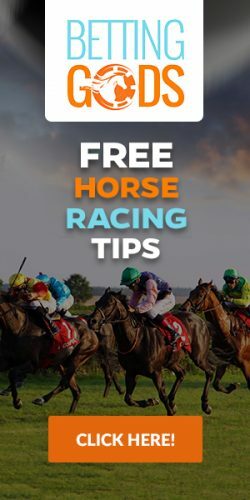 With an online racebook all you have to do is open up your computer, phone, or tablet, sign into your account, make a few clicks, and you bet is placed. You will be able to access the same betting menu and choices that you would be able to access at the track. Another advantage is that you are guaranteed track odds on your selection. The odds that you will receive from the online racebook are the very same ones that you will receive on the track. You will also have access to the simulcast feed directly from Churchill Downs. You will also save money when you bet the Kentucky Derby from home. Many local racetracks up their admission prices on Derby day. You can also save money by getting free past performances from your racebook. Most online racebooks will provide you with free past performances when you deposit and wager a certain amount of money each month. Some online racebooks will even offer free bets on the Kentucky Derby to new sign ups. You should check with the one we recommend and see if they are running any special promotions that relate to the Derby. You might also find that the racebook is offering special wagers. The exotic wagers are the best ways to make money on the Derby. You should try to focus your wagering on bets like the Pick Three, Pick Four, Pick Six, Exactas, and Trifectas. The exacta and trifecta in the Kentucky Derby almost always pay a large amount of money. The reason for this is that there are so many horses in the field. These are very difficult bets to hit, however, and will demand your best skills as a handicapper. Another bet that you might want to explore is the Daily Double on the Kentucky Oaks/Kentucky Derby. The Oaks is the filly version of the Derby and is held on Friday before the big event. The Daily Double bet will require you to pick both the winner of the Derby and the Oaks. But if you succeed in this endeavor the rewards can be very handsome. It is not unreasonable that this bet could pay hundreds on a single $2 wager. Without a doubt, your biggest chance for a life-changing win on Derby day is the Pick Six. This bet requires you to pick the winners of six consecutive races, the last of which will be the Kentucky Derby. All of the races in the series will be competitive stakes events that feature the very best horses in the world. A key to playing the Pick Six is to spread out your selections. It is very hard to win this bet with one ticket. You will need to play multiple tickets in order to have the best chance. This means that you will be choosing more than one horse to win in some of the races. Some people like to single the Kentucky Derby itself. This means that they will only pick one horse in the main event, usually a longshot runner. They will then build the rest of their Pick Six ticket around this horse and choose multiple winners in the other legs. Spreading out a ticket in this fashion can become expensive so you should know how the bet is calculated before you place the bet. Your ticket will cost $48. As you can see, the more races that you have which only use one horse to win will greatly lower the cost of your ticket. It is not unheard of for the Pick Six at the Kentucky Derby to pay in excess of $100,000. It can pay as much as a half-million or more. The reason for this is that the Derby has 20 horses in it. Most of these horses are true contenders. Very few people will be able to identify the winner of the race, let alone pick that horse in a Pick Six sequence. But the lucky ones that do will stand to win a lot of money. The main thing to remember as your are making bets on the 2018 Kentucky Derby is to have fun doing it. That is the whole point of the affair. You may not win each time, or any time, but you will have the joy that comes from cheering on the horse you have bet on.